Imagine two old ladies who have just mouthed their dentures. The first is readying to give her most esthetic smile, the second whistles for room service to hurry up. There’s a chance the second lady is Greek from a particular village in the southeastern corner of the island of Evia. The collection of scattered stone dwellings is called Antia, and while far away from the world of room service and retirement homes, the village is home to an ancient whistled language. It is only known to a handful of villagers and even then, only those with teeth can imitate the sharp and quite clamorous whistles. Loud so as to traverse the rugged hills and other great distances (up to one third of a kilometer). However, this whistled language is not a whistled code; “hurry up” may very well be followed by a response and a follow-up. In fact, the vocabulary is so extensive that the words were recorded in several hour-long sessions by a Harvard professor, Andrew Nevins, paired with a student from Moraitis School in Athens, as of yet the only initiative to save the dying language. The only publicized research has been Charalambakis’ work (1993), and a more technical paper by Xiromeritis and Spyridis. 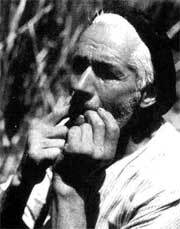 Similar to the whistled language of the Canary Islands, Silbo Gomero, this one also developed for pastoral purposes and as warnings before enemy invasions. This linguistic relic of a more militaristic era in Greece likely arose from the Persian wars 2500 years ago. Villagers date the language as 1500 years old, however this translates to the Byzantine-Sasanian wars, during which the battles took place in Anatolia not Greece. The language is locally called σφυριά (sfiria), and is effectively a whistled translation of Greek. Charalambakis explains that across worldwide occurrences of whistled languages, what differs is the method of converting spoken form into whistled form. While noting that sfiria is translated similarly to a Turkish whistled language he concludes, “There is no connection between these remote and isolated areas”. Neither is there a connection with Albanian which influenced parts of the island. Therefore sfiria must be studied for its connection to Greek. Xiromeritis and Spyridis conclude that the five main vowels [a], [ε], [i], [o], and [u] become only three, [a, o], [ε, u], and [i] not too different from the systematic reduction of vowels in the spoken form of modern Greek, which is highlighted by several recent studies including one at the University College London. A documentary featuring the previously mentioned Nevins, provides internet audiences with a view of the village and the remaining speakers hunched around a laptop remembering how well they used to whistle. At one point, Koula, a village woman in her late sixties, is videotaped whistling for an official recording. A screenshot displays the Greek words for which the sfiria word is being recorded. The list beings with, “μάκι”, “δάνω”, and “οτουνός”. The whistles for each word are distinct and powerful for the ears of the interviewers sitting only a few feet away. Yet this 2009 recording still hasn’t been subject to phonological study. Absent is any further exploration of how the consonants are incorporated or how the frequency plays a part in the formation of words. Young children that could be the forbearers of sfiria for the coming years are scarce in a village devoid of young couples. In a world where cellular technology has made obsolete the need to communicate long distance, the language may become extinct before too long, swallowed up by the uncut grass that the elderly watch grow. As one old man reaches into the back of a pickup truck now the source of fruits and vegetables in the village he wishes that the next delivery would bring a good pair of dentures.